Headphones have become an integral part of life today. Whether a user wants to listen in on the radio or play on a gaming console or watch a movie or listen to a favorite list of songs, headphones are a must. Due to this ubiquitous use, headphones come in a range of prices, starting from a few dollars to a few hundred. The exact choice of a headphone depends to a large extent on what a user is expecting from branded headphones, and more importantly his or her budget. While high-end headphones are bought after surfing through many reviews, low-cost headphones come handy when users have a restricted budget and or / do not use their headphones very often. For example, a user who travels a lot, and realises at the airport that has forgotten his / her headphones home, but he or she needs something to listen to music. In such a case, an affordable headphone would suffice. There could be many other situations too that would require a low-cost substitute. These low-cost headphones are by no means the worst performers. Some of them sound so good that they can give the expensive models a run for their money. Many users have even ended up using these low-cost headphones for a longer period of time, sometimes even permanently, because of the superior features that they offer over some the top of the range branded headphones below $30. However, the key is to decide which low-cost headphone gives good quality audio despite costing less. Sony MDR ZX100 headphones have a stylish design. The earplugs are cased in faux leather to give a comfortable feel over the ears. Such a design ensures that nothing pokes or hurts the ears. It also ensures that is comfortable to wear for a few hours, though wearing it any more than four hours straight makes it feel uncomfortable. Another advantage with this design is that it keeps external noise out as the ear cups enclose the ear hole completely. Its design is also aesthetic with the name Sony engraved at the back of each ear cup. As for performance, these headphones are a good value for money. It offers good bass, though it is not as powerful as some of the other expensive brands that are designed exclusively for bass. In this sense, it may not be the preferred permanent choice for bass lovers. Otherwise, the sound is clear and well-balanced. High quality diaphragm present in these earphones gives excellent quality of sound reproduction, and there is a good balance between the right and left speakers. It captures high, medium and low notes with clarity due to the presence of good quality Neodymium drivers present in it. 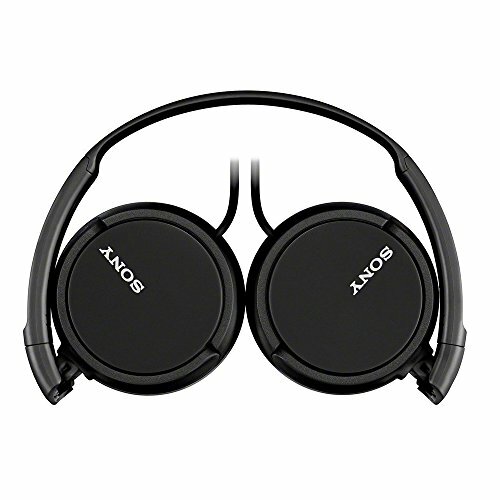 In a nutshell, the Sony MDR ZX100 ZX Series headphones provides good value for money. These branded headphones below $30 provide good listening experience for users. 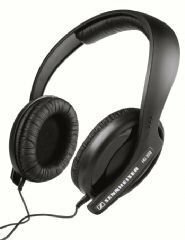 Sennheiser HD 202 is one of the most professional headphones available in the market today for under $30. Since most people associate good quality with high cost, they tend to overlook this product, which is also a negative for this product since it offers such great sound. The design of this product is average. It has a matte finish to it and comes only in black which is good because any other color would have made it look like it was made of cheap plastic. It is reasonably comfortable to wear, though the frame can start to hurt the scalp after sometime. In fact, this design is probably one of the biggest drawbacks of this product. The music that comes from these headphones is smooth and laid back, which is typical of any Sennheiser model. With such a laid back stance, the treble tends to be excellent even when the volume is cranked up. However, the vocals may sometimes fall backward a little bit on some recordings. The bass presence is minimal, so it is not really the right choice for someone looking to enjoy bass effect. Other than the lack of good bass, it is well-suited for other genres of music such as jazz and classical. The low notes are also audible and it strikes a good balance between different frequencies. The verdict on this branded headphones below $30 is that it gives a good bang for money, but its design can be a little cheap looking and uncomfortable to wear for long periods of time. Sony MDR-ZX310-BLACK is one of the lower-priced models from a reputed sound company such as Sony. It sure makes an emergency or backup headphones. The design is neat and standard. The headphones ensure that there is no pricking or poking in the ears. They are also relatively small when compared to other models, so it can be inconspicuous for those who do not want the world to know that they are using headphones! The frame is all plastic, but the ear cups have a nice shiny finish to it. Despite this good design, the sound is not all that great. The bass is murky, making one wonder about the overall quality of this branded headphones below $30. The mid-range also sounds flat and boring while the highs and lows are clear, but without any vivacity in the vocals. It is not good for voice quality either as the low frequency resonance can cause big variations in voices. Therefore, Sony MDR-ZX310-BLACK is a good backup headphone because it comes cheap, otherwise, it may not have had any buyers. In short, getting a good pair of earphones does not have to be expensive always. Some low-cost models offer the same levels of audio quality when compared to the expensive ones, thereby giving users the choice to switch to low-cost models, depending on their budget. Sometimes, these low-cost models can even come handy when users are looking for a temporary pair of earphones. Either way, the above models are a great value for money.